What ever happened to the good old-fashioned local contest series? You know the one, show up with your friends every weekend and try to take down your rivals. Don't know what I mean? Well, if you live in the Mt. Hood area, you can figure it out starting this weekend. The Mt. 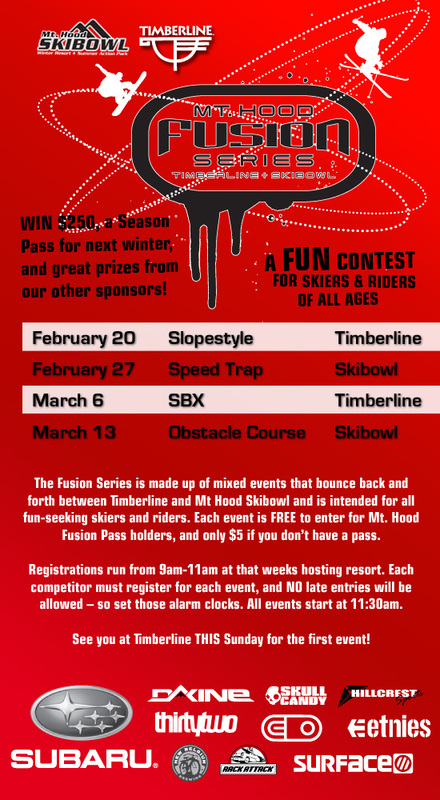 Hood Fusion Series is on at Timberline and Skibowl! The only speed trap I have any experience with has to do with cops. It was lame. A snow obstacle course seems like fun, though. Whatever the case, bring your friends and do your best to recreate The Warriors. But instead of guns, knives and bats, just bring your snowboard.